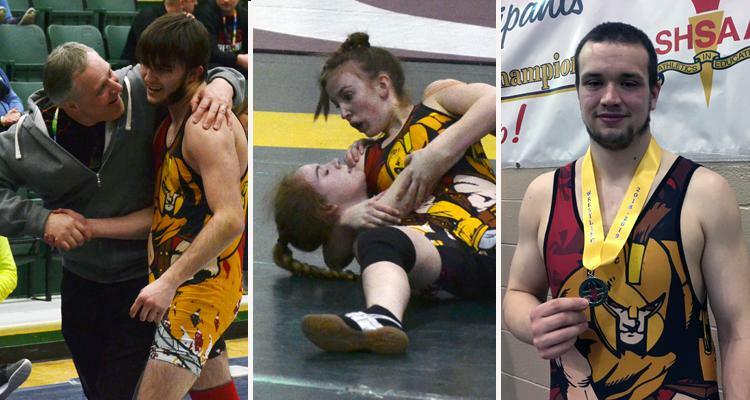 Congratulations to Jacob Ambroziak of Carpenter High School on earning a SHSAA silver medal at the 2019 Provincial Championships. Jacob who has been the provincial champion for the past two years in the 130kg weight class, competed this year in the 115kg class. The final match was very close with a score of 5 to 5 into the final seconds. But, his opponent shot right off of the whistle and caught Jacob for the win with only 8 seconds left. Skyler Barden (60kg) and Logan Boser (77kg) also had excellent showings at the championship with both wrestlers placing 4th. These are personal bests for both of them. Congratulations Carpenter wrestlers on another excellent season!